Is A Pet Sitting Business Coach The Right Solution For Me? Operating a pet sitting business is no easy task, especially alone. You’ll need a strong team behind you in order to help you build a successful, thriving business. One member that you might be considering adding to your team is a pet sitting business coach. But before you do so, you have to determine whether or a not a coach is the right solution for you. Today let’s talk about a few considerations to think about before seeking coaching for your business. When deciding to work with a pet sitting business coach, you have to be in a certain mindset. Keep in mind that while a coach is somebody that will motivate you to build your business, you two may not always agree on the best strategy. A good coach is going to challenge your thinking, and is going to make you uncomfortable at times. You have to anticipate and be ready for this challenge, and know that it isn’t personal. A pet sitting business coach wants to see you succeed, and will ensure this by consistently broadening your horizons and helping you get out of your own way. A pet sitting business coach is definitely going to add a lot more WORK to your plate to help you accomplish your goals. You have to be willing to budget time to complete your homework and ensure that you make all your sessions in order to see the best results. If you don’t, this greatly increases your chance for failure and just wastes everybody’s time. I understand that setting aside this time can be difficult, because us business owners always have tons of projects on your plate. If you feel like this is you, then consider finishing a few of those projects up before seeking coaching. A clear plate and a clear mind will allow you to make the most of your sessions and have better results. It’s no secret that a pet sitting business coach is an investment. It can be costly, but if you go in with the correct mindset, you WILL see a return on your investment. That being said, cost is definitely a factor to consider. When you decide to work with a pet sitting business coach, it’s important that you are not only ready to make the investment, but that you’re willing and able to complete the necessary steps in order to get your return. You’ll want to do a bit a research to make sure that the coach you’re considering offers learning resources that coincide with your learning style. NOTE: Make sure to find out if there is an expiration date to access the information. You don’t want to end up purchasing something thinking you have lifetime access but actually don’t! While you will learn a lot that you didn’t know before, from a pet sitting business coach, you have to be open to being wrong. More specifically, you have to be open to someone telling you what works, and you should be open to receiving the new information. Sometimes this can be difficult, but keep in mind that both you and your pet sitting business coach are aiming towards a common goal – help your business soar! Keep in mind that while pet sitting business coaches can be invaluable to your business, there are also a number of problems to consider before working with one, which you can read about in my post here. Want More Of Me In Your Business? Subscribe To My YouTube Channel! https://jumpconsulting.net/wp-content/uploads/2017/05/BLOG.png 500 500 Bella https://jumpconsulting.net/wp-content/uploads/2018/10/JUMP-CONSULTING-LOGO-2018-2-01-2.png Bella2017-06-05 06:00:002018-06-06 13:14:56Is A Pet Sitting Business Coach The Right Solution For Me? The pet sitting industry is huge and ever expanding. There is a continuous need for pet sitting companies and dog walking companies all over the world! But like with any business, it can be difficult to do everything on your own. This is why pet sitting business coaches have become a popular resource for pet business owners. Today, let’s discuss your options for pet sitting business coaches so you know what to expect. Kristin Morrison first started her pet sitting company in 1995, initially with the idea that it would be her part-time gig while she was also working full-time. One year later, she quit her full-time job so she could work on growing and expanding her business. As business grew and thrived, she found herself working longer and harder days. That’s when she said: ENOUGH. She gave herself one year to turn everything around, and that’s exactly what she did. Fast forwarding to 2013, Kristin sold her business after running it for 18 years. Now she focuses on coaching and inspiring other pet business owners, which she continues to do today. Colleen Sedgwick first started her pet sitting company in 2001, and continues to run it and grow it to this day. She now also is the founder of The Pet Nanny Coach, where she mentors other pet business owners. She has also developed her own mobile application, The Pet Watchman, which is a way for pet owners to connect with their pet sitters in real time. Bella Vasta started her pet sitting company while she was in college and continued to run it and build it for 14 years! About 4 years into the business, Bella then started Jump Consulting, after she gained national recognition for her pet sitting company. After Bella sold her successful pet sitting company about one year ago, now she is dedicated to propelling Jump Consulting full speed ahead. She now continues to motivate and inspires other business owners every day. Bella also routinely conducts expert interviews with guests such as state auditors, NY Times best selling authors, top speakers on the speaking circuit, and so much more. No matter what pet sitting business coach you choose to work with, it’s so important that you consider all of the problems with pet sitting business coaches, Also think about the cost of pet sitting business coaches, and if it’s the right move for you and your business. Remember to take advantage of all of the free content that pet sitting business coaches offer too. Not only are they great resources, but they’ll help you decide if you and the coach will have similar visions for your business. Finding a coach that clicks with your personality and your vision for your business can be difficult. 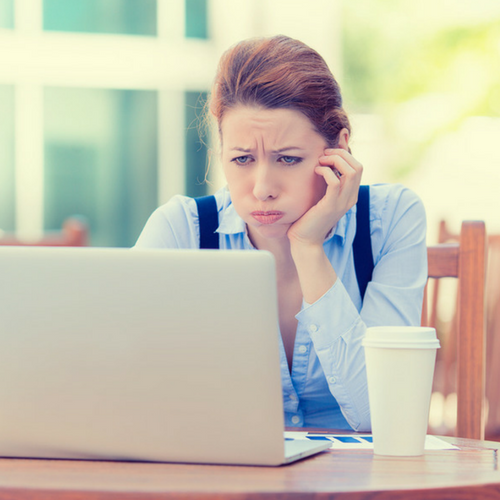 As with anything in business, there are tons of problems that can arise when trying to work with pet sitting business coaches. Let’s discuss some of those problems as well as some ways you can address them, to ensure you’re working with the person that’s right for you. How is the coach you’re considering tied to the industry? Did they once run a pet sitting company of their own? What other prominent figures in the industry do they have relationships with? Most importantly – are they qualified to be giving you advice about the pet sitting industry? Consider the fact that it can be easy for a person to look good on paper (or a computer screen! ), but if they haven’t actually DONE the things they’re giving you advice on, it may be difficult for them to teach you how to implement and execute. Don’t be afraid to ask them to prove it to you. They should be happy to! 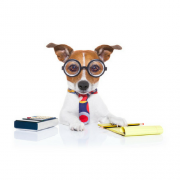 Has the pet sitting business coach worked with other pet business owners? If so, what RESULTS have they had? Look deeply into the reviews and testimonies that coaches have. The reviews that really speak to a coach are ones that talk about results and growth. Not reviews that are simply talking them up but give no explanation why. Just because somebody has all 5 stars reviews doesn’t necessarily mean they’re the best – look deeper into what people say and learn how to read between the lines. Is the success quantifiable? After all, you want a return on your investment, right? You might want to take a look at the amount of downloadable material that a coach offers. What form is it in? E-books, workbooks, audio files, or video files? Which method do you learn best from and can retain the information from? How many downloadable resources does the coach have, and are they continually adding to their library? These are all crucial questions you want to figure out the answers to, before giving your business and livelihood to a coach so you can make sure the format is what will work for you. Most coaches will have free material you can read, hear, or experience before committing to them. You can find this on blogs, podcasts, info-graphics, and 20-30 minute coaching sessions. This can help you get a big feel for the coach to see if your two styles click. Keep in mind that not only is the coach committing to you, you are committing to the coach! You don’t want to make the mistake of putting your business in the hands of someone you don’t mesh with. While your coach is there to support you, it’s important to be able to reach them in other ways besides your one-on-one sessions. Determine whether or not the coach has Facebook groups, is accessible by email, phone, etc. Facebook groups are especially valuable because you’re not only going to connect with your coach, you’re getting to network with other pet business owners which you can learn and grow from. How Do They Solve YOUR Problems? When you do that free coaching session or even first session with your coach, think about how they tried to solve your problems. Are they just listening to your troubles, and acting more as a therapist? Yes-ing you to death? Or are they really coaching you, getting to the root of the problem and giving you sound advice that you can execute? Determining the difference between the two can be hard, but if you walk away from the session still feeling lost, you may need to consider whether or not you’re really benefiting from that coach’s style. Do They Offer Different, Unique Solutions To Your Problems? It’s really critical that your coach isn’t just giving you general industry advice. You want them to give you unique solutions to your problems that work for YOU and your business. Think about it – if your coach is giving the same advice to every client, this can really saturate the industry and make it difficult for you to stand out. The most important problem to figure out when considering pet sitting business coaches, is to figure out what you’re looking for. This is really similar to hiring, in that if you don’t know what you’re looking for, you’ll find out once you hire the WRONG person! If you’re aware of the qualities you want in a coach, you will know once you find that perfect person. How Much Does A Pet Sitting Business Coach Cost? One of the biggest deciding factors when choosing a pet sitting business coach to work with is cost. Good advice can be valuable, but what it really comes down to is how much you’re willing to spend on it, and if you will get a return on your investment. The cost of a coach can range depending on what you’re looking for – so, today we’re going to break down the exactly what you should be thinking about in terms of cost when choosing a coach to work with. Yes, I am totally serious when I say that you could be getting advice for your business for free. Many coaches will offer free content to help you familiarize yourself with their style before committing to them. This is important because when you choose a coach, you are handing over your business and livelihood to them. A piece of bad advice or lack of advice could send you down paths you don’t want to be on. This free content could include blogs, podcasts, Facebook groups, and free 20-30 minute coaching sessions. All of these resources are great ways to help yourself get a sense of what the coach believes in, and if their beliefs & personality, fit in with the vision you have for your business. When a pet sitting business coach is offering their services for a low price, you want to ask yourself, “Is this person in it to make a living?” If your answer to this question is NO, you might want to do a little more thinking about this person. If they are doing it just to make a little side money, it might not be the mentality that you are looking for. Maybe it is? Having a coach that is coaching to make a living is beneficial for your business because they will really care about your success. They will have more vested in it because their success depends on your success. Also consider whether or not this content or advice is really valuable and unique? Or is it just restating much of what someone else has already said? How much knowledge is this person backing their products up with? Is it put together professionally? These are all valuable thoughts to consider when choosing a business coach. That being said, being low cost doesn’t necessarily mean it’s bad! It could be that the coach is providing these resources to you from their heart. Or, that they are up and coming and just starting out! Again, the best way to determine this is to get a feel for the coach through their free content. 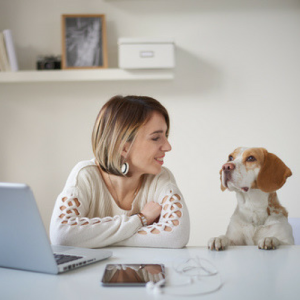 When considering working with a high-cost pet sitting business coach, there are also a series of questions you want to think about before working with them. 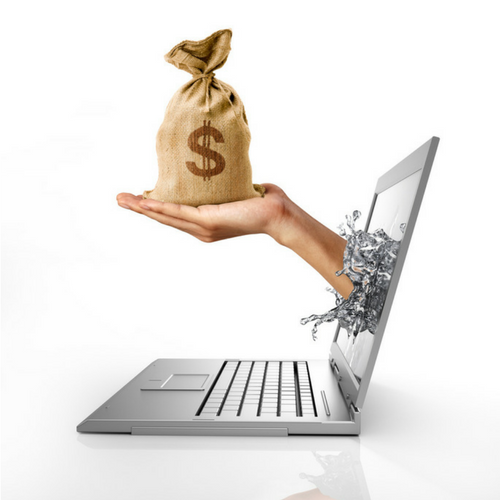 First and foremost: Is the content really more value? Higher price does NOT necessarily equate to higher value, even though it’s easy as a consumer to think so. How do you get around this? Make the coach show you the value. Do they have social proof such as testimonials? Reviews? A large following that are singing their praises? These are all great ways to determine whether or not a coach’s value justifies their high cost. It’s also important to note that a high-cost coach is probably more serious about your results. Why? A high-cost coach is probably doing this full time. Higher costs = having to work harder to generate revenue. Plus, a high-cost coach is most likely going to have a wider range of solutions to their client’s problems which also justifies what they’re charging. Typically they can work with a wide variety of businesses and you are paying for their global skills and knowledge. Pet sitting business coaches are adapting to the variety of innovation going on in our industry today. Coaches offer tons of different products and methods for you to receive advice tailored to your business, in the format that’s most comfortable for you. Coaches may offer services such as private online groups, one-on- one coaching, downloadable products, long term coaching packages, and virtual classes. Each of these have their benefits and disadvantages. It’s really up to you to find which method your most attracted to in order to help your business soar! Deciding which pet sitting business coach to work with can be a process. It’s important to ask yourself the tough questions to determine whether or not you’re making the right decision for you and your business. While there are many factors that are important to consider, cost is one of the major ones you should definitely think about when deciding on a pet sitting business coach. https://jumpconsulting.net/wp-content/uploads/2017/05/Untitled-design.png 500 500 Bella https://jumpconsulting.net/wp-content/uploads/2018/10/JUMP-CONSULTING-LOGO-2018-2-01-2.png Bella2017-05-08 06:00:202018-06-06 13:14:59How Much Does A Pet Sitting Business Coach Cost?